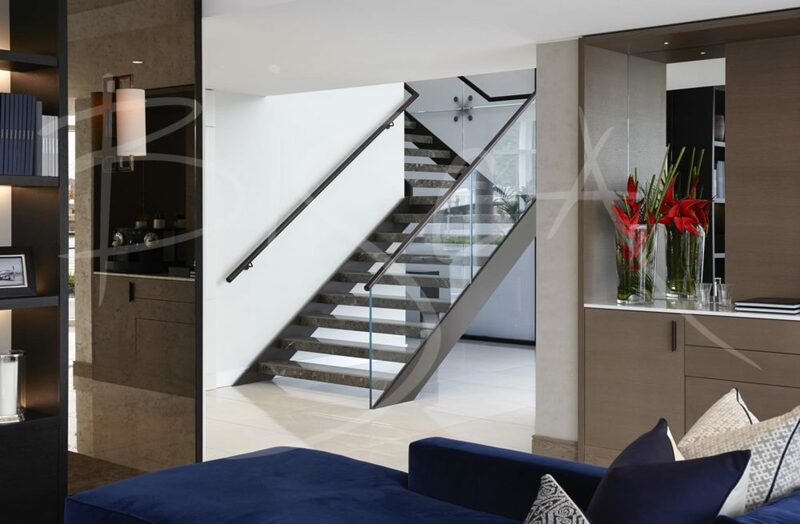 A penthouse staircase for the marketing suite of one of London’s premier property developers. 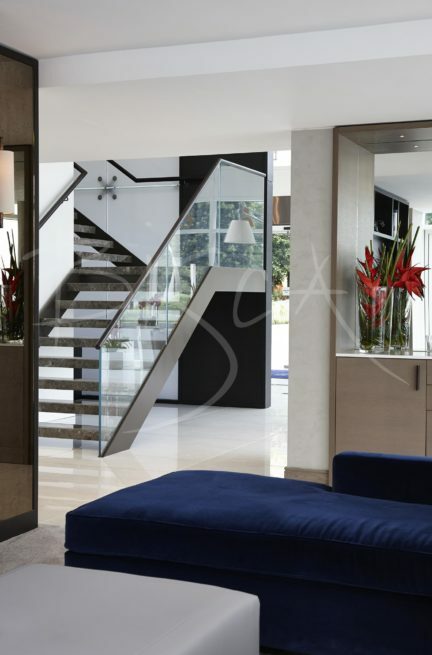 Our brief was to create a feature staircase with a look of ultimate luxury using premium materials without visible fixings. The penthouse suite, although used at the time for marketing purposes is now a prestigious residential apartment in one of London’s most desirable areas. The staircase therefore, is built to commercial regulations, and is both beautiful and durable. 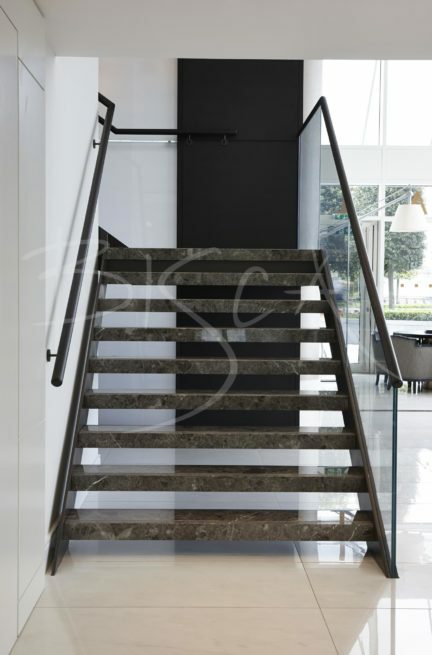 Open treads of stone are supported by a slim steel structure, finished with a specialist antique bronze patina for sophistication and elegance. 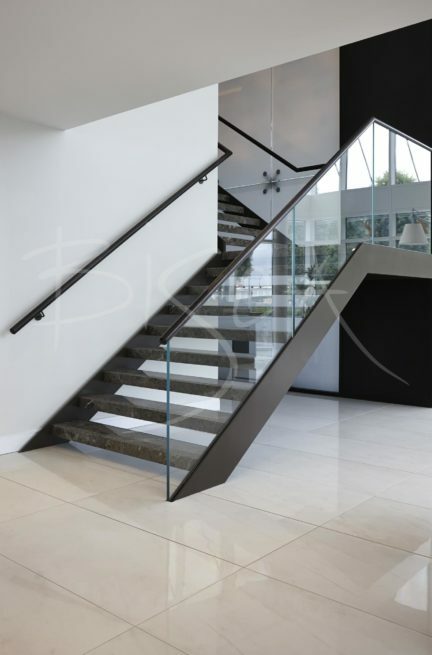 The design of open treads and glass balustrade also maximises light flow into the area. Timber handrails are stained a deep rich brown and contrasted with low iron glass for crystal clear visibility. To obtain a guide price for your own bespoke staircase please quote ref 3799.